1. Sign up for a MyVermont.gov account at vermont.gov/myvermont. 2. Log in and fill out your profile information including your contact information in the upper righthand corner. Let us know if you have any questions. Please share this with your patrons! Here is a four page PDF handout going through all the steps with screenshots. 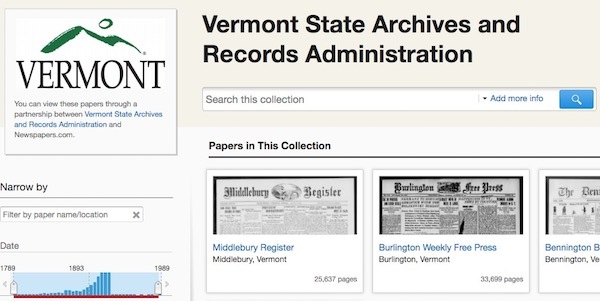 “Once you are in, there are so many great newspapers—all text searchable. The Earth, from Burlington, with its imaginative masthead.